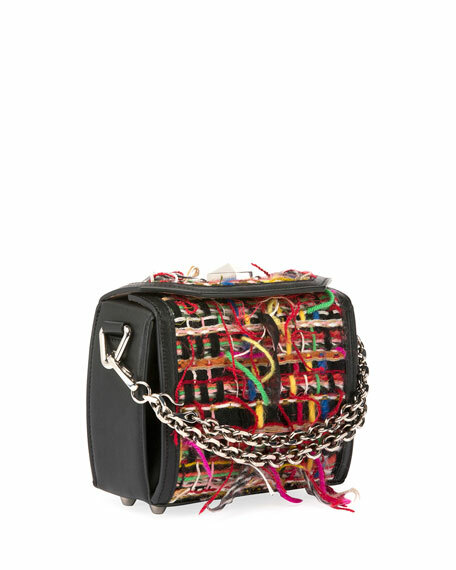 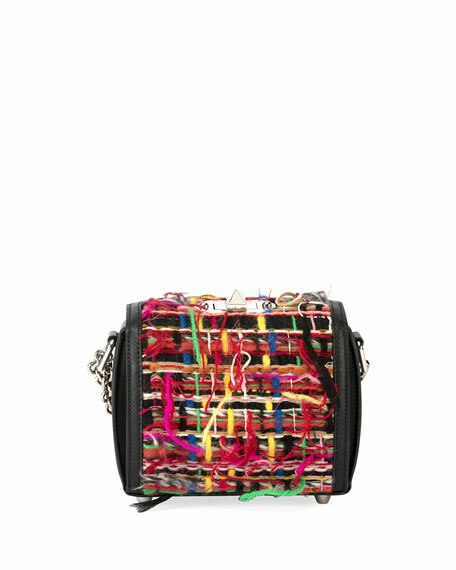 Alexander McQueen "Box" bag in tweed and soft calf leather. 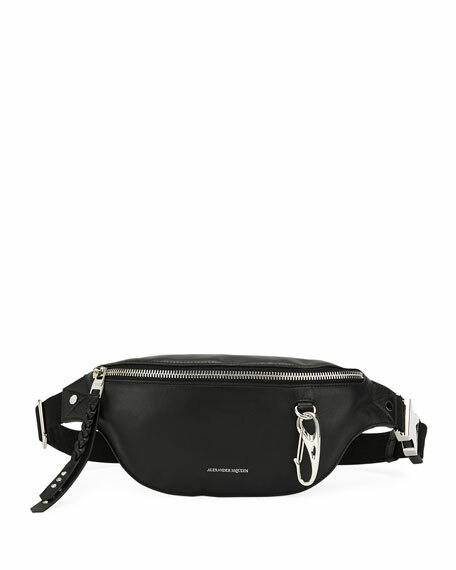 Adjustable, removable leather crossbody strap, 21.4" drop. 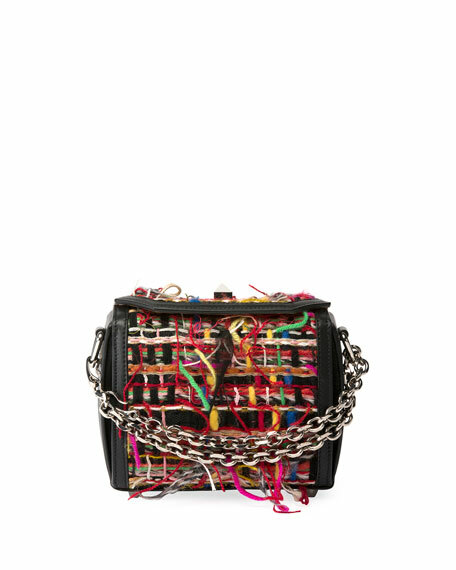 Rotating clasp with studded detail. 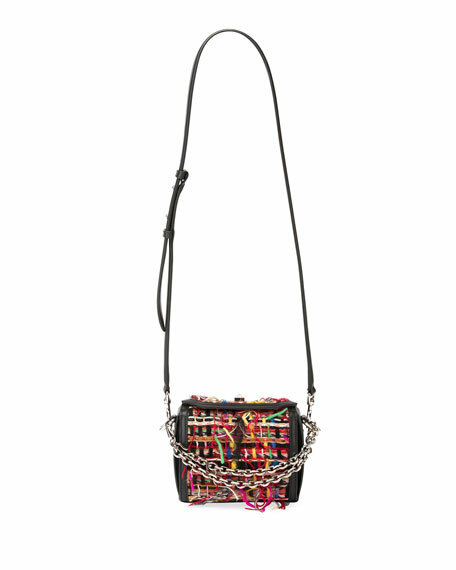 4.7"H x 6.2"W x 2.3"D.
For in-store inquiries, use sku #2252214.